"This is not real Chinese food! You need to come to China," my Chinese colleague laughed at me. We were standing in a dimly lit Chinese food shop in Dunedin, New Zealand, five years ago this month. I had a long walk with her, and then we saw the Dragon parade, which is a great thing, with a huge designer dragon manned by people parading to the sound of beating drums. It started from the main street, and ended in a Chinese rock garden at the southern outskirts of the city center. It was warm, as it was summer in the southern hemisphere. There were food stalls as far as eyes could see, and small Chinese tattoo stalls as well. There were monks, and there were Kung Fu teachers, with people signing for a free session. Of course there was a small protest going on as well. But no one cared about them, spoilsports. It was happy, warm feeling…and I loved the Chili Chicken and Egg Fried rice, thinking it was real Chinese food. Apparently it was not, but it was delicious anyway. Coming from Kolkata in the western part of India, this was unique. Kolkata has a long term relation with China. Political history, cultural history everything has a Chinese touch, being so close to China and with a large Chinese community creating a vibrant China Town and restaurants, with mixed food items like Tandoori-Sichuan Noodles and fried and steamed Momo dumplings (surely our biggest contribution to Sino-Indian peace and friendship). 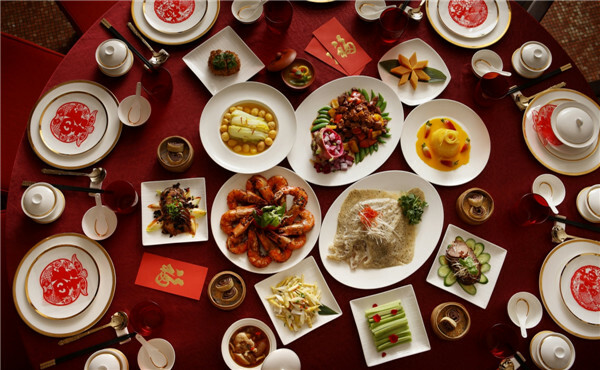 Looking back, even during the trying times in our relations in the 1960s, one thing that never stopped was the thriving existence of Chinese restaurants in India. I went to a marriage celebration there once, between a Chinese bride, one of my fellow university students and an Indian groom. One could not believe the amount of rice and the different types I saw then. This time, as the Chinese New Year is coming in a few days, I am in England. This is a completely new experience and I am sure very different from New Zealand or India. While India and China are closer, and our food has got mixed up over the centuries, New Zealand is on the other side of the World, with a distinct variety of Chinese food of which purists might not approve. Having previously spent Chinese New Year in Asia and Oceania, the writer contemplates a new experience in Europe filled with hope.